While there are plenty of delicious ready-made chocolates on the market, nothing feels quite as special as home-made sweets. Of course, even within that subset some home-made confectionery feel more special than others, and it’s a pretty safe bet that for Nintendo fans, there most awesome thing is Super Mario chocolates! Just in time for Valentine’s Day, Nintendo has released two silicone cooking trays inspired by its flagship franchise. First up is the “Block” tray, a three-by-three arrangement of question mark blocks, brick squares and hard tiles just like the ones that make up the worlds the video game star has been running and jumping through for decades. Pour your ingredients into the molds, and once they’re done cooking you’ll have an edible recreation of the iconic building blocks. 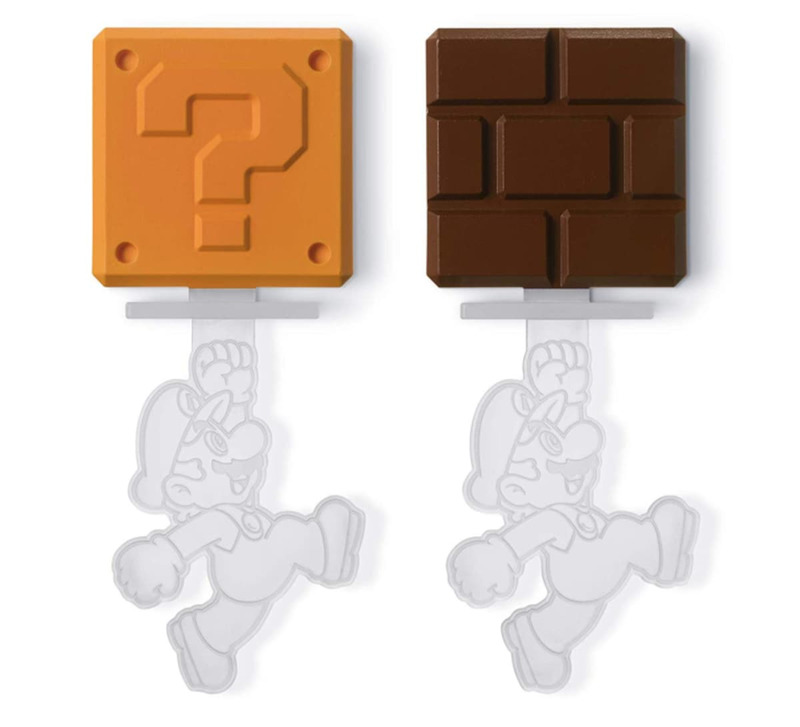 Of course, it’s impossible for gamers to see these blocks and not imagine Mario punching them, so the lengthily named Super Mario Home and Party Silicon Tray Set (Block) also comes with six Mario sticks to place the chocolates on, and even they have a cool surprise! See, the reason Mario smashes all those blocks in the game is to find power-ups, and so the six sticks are divided into three designs, showing Mario nabbing a super mushroom, an invincibility star or a coin. ▼ Sorry Luigi fans, all six sticks feature the more famous of the super brothers. In addition to chocolates, the molds can also be used for maxing other liquid-ingredient desserts, like Japanese yokan sweet bean jellies shown on the right in the photos below. 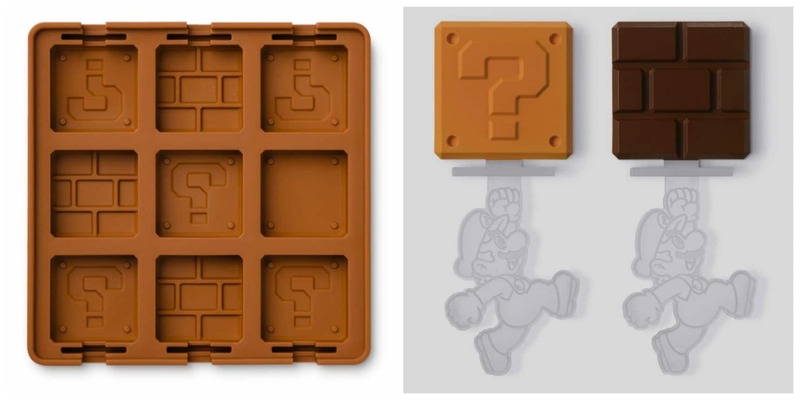 Oh, and if seeing the power-up items on the Mario sticks has you wanting to eat some of them too, Nintendo is also offering an Item Silicon Tray Set. Instead of Mario sticks on which to place your treats, this time around you get two longer-handled sticks featuring Cheep Cheeps, Mario’s recurring (and adorable) aquatic adversary. That’s because if you don’t feel like cooking, the trays can also be used to make ice cubes, and the fish-like Cheep Cheeps will be right at home stirring your drink below its surface. Each tray/stick set is priced at ¥2,800 (about US$25), and both can be ordered through Amazon Japan. Read the original story from SoraNews24 for information on purchasing each item via the link below!